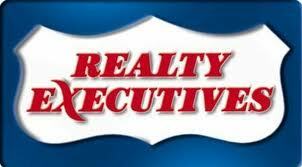 In the challenging Tempe, AZ real estate market, selecting the right realtor is crucial. It can make all the difference in the world. Whether you're planning on buying, selling, or you just have a question, feel free to call your Tempe Realtor - Burton Cagen. It doesn't where you're buying a home in Arizona, you should be sure and view a digital copy of the Arizona Department of Real Estate's Buyer Advisory. [Link to: AZ Buyer Advisory PDF] It has useful and sometimes critical information to help protect real estate consumers across the State, not just in Tempe. Short Sales have taken over real estate conversations in Tempe, Arizona, and the country. However, Arizona is the first state to have an Association of REALTORS® partner with the Department of Real Estate to create a Short Sale Seller's Advisory. [Link to: AZ Short Sale Advisory PDF]. Be sure to read a digital copy so you can follow the hyperlinks to all the critical information you need to consider when short selling your home. Burton has been serving Tempe Real Estate clients for over 35 years. Trust in his experience. Since Burton's real estate focus is primarily Tempe, Arizona and the East Valley, we've pulled a few of the popular cities out to provide more specific home value statistics and also narrow the search results for homes for sale and rent.